More merchandise please! Who would you like to see more dolls of? I didn't see any similar unlocked topics, sorry if it's been done before! 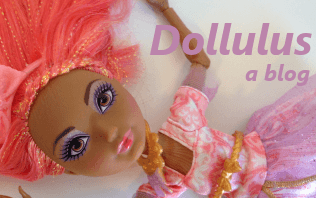 As the title suggests, what dolls do you feel there isn't enough merchandise of, or has been neglected lately that you would love to see more releases of? If I only could choose one, my hands-down absolute pick would be Ghoulia. I think she has an absolutely gorgeous face mold, and I'm so discouraged that she seems to have been tossed to the side. I brought up her neglect to a friend who doesn't know really anything about MH, and her reaction was, "They can't get rid of Ghoulia, she's a main character!" (She decorated lots of Monster High cakes and only really knows the mains, and considered Ghoulia to be the face of Monster High branding). While I haven't heard any confirmation that she's being discontinued, her lack of releases is pretty disheartening. 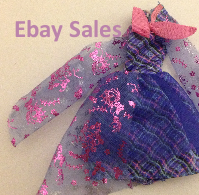 Scarah - Love her style and for not having eyes, she's super adorable! Skelita - Who doesn't love cute skeleton girls? Honey - What's not to love about her hair? Plus her color scheme is gorgeous. Gooliope - I know she's pretty new but I hope she gets more than two dolls, she's so cute and I love slime girls! Robecca - Steampunk has always fascinated me, so I loved her as soon as I saw her. Wydowna/Iris - I have a weakness for extra body parts (hence why I love Peri and Pearl so much and grabbed a bunch of Kalas), as well as missing features (plus I really like eyes). Come on, only two dolls each, and they're exclusives? And while it's a long shot, some of the dolls from their own line (like Boo York's Elle Eedee and all the Brand Boo Students) I would love to see more of. They gave the girls introduced in Frights, Camera, Action! a few other dolls, I can dream they'll bring others back! Speaking of dreams, rereleasing CAM sets would make me so happy! I love the three-eyed ghoul especially, but it's impossible to find her for a reasonable price. Who do you hope to see more of? Re: More merchandise please! Who would you like to see more dolls of? I'll never say no to more Skelita or Honey, because I love the unique body moulds, but I'd also love to see Wydowna, Iris and Whisp get a few more dolls! I'd be very curious to see how the reboot body handles Wydowna's arm configuration, actually. Pre-reboot, I was always hoping for more Sirena, Vandala, Lorna and Marisol, but I don't think they'll be coming back. I'd agree to more dolls of any of the forgotten movie characters. I'd also like new dolls of Porter, Johnny, Billy, and Finnegan in some more couple/date packs, as they haven't gotten them yet. Wydowna would be awesome, but I think she's a noncharacter at this point. She only had two G1 dolls, and zero media presence- perhaps she turned out too scary for them to feel confident using her? I would love a helmetless Astranova. Please, just one with hair only. And Skelita and Honey are two of my favorites conceptually, so sure, let's have a few more of them, too. Logically, though? I'm not sure many of these guys have a chance. G2 seems determined to upgrade everyone's body to the new proportions (Whisp and Amanita and Nefera were finalized beforehand, thus the older body, and Gaga and Skelita aren't part of the main line) and they don't want to make new body molds anymore, so unless they decide to just use the G1 bodies, I'm not sure any of our more unusual characters have a chance. I always wanted a Holt/Jackson two pack, but never had too much hope for it. I also just really want more Holt. It took years to get his Swim Class/Make a Splash, and even then it was exclusive and shortpacked. I remember that "exclusive" Holt.... and I still wish they made more of him. He's one of my fave mansters. Next time, Mattel, make him more widely distributed, and please don't give him the doe eyes. I realize budget constraints may limit the chances of seeing these dolls produced again, but if they can make a new Venus with molded vines, why not recycle the molds for some others? Would also love to see more Gilda dolls. ♡ And the Freakyear Fusions! Thing is, G2 Venus is still as minimal as they could make her- her torso isn't unique, only her limbs. So it's either reuse or never-see-again. And who knows how many of the molds are still available/active for those older characters to be made again? Based on the exceptions we've seen, I think it's unlikely for any G1 bodies to make it into the main line- Gil might prove otherwise, though, but he's still tricky- was he not upgraded because he's not the bulkiest in canon, or merely because Mattel didn't want to make a new mold with his details? I love Mouscedes King and would love more dolls of our gray mousie ghoul! Also, more Jacksons and Holts 100%. They need to bring the boys back to the reboot! Definitely Ghoulia! I miss her! I'd also love more werecats like Catty, Catrine, and Toralei. And how about another Heath doll? We need more guy dolls for sure. Oh, and also Robecca and Honey! PLEASE. I would kill for more Holt dolls. I'm always going to be sad they never made a Holt/Frankie two-pack with the G1 dolls. And I am still holding out some hope for him to show up in the reboot with more dolls, but honestly, at this point... I'd be happy with him getting a mini. Or just showing up in any merch at all. I'd also love to see more of Ghoulia. Like everyone else already said, she has a gorgeous face mold and I feel like if Mattel cared about her more she could have some really amazing releases. I want to see more of Nefera too. Her dolls are SO stunning to me. Didn't Mattel say they have "big plans" for Ghoulia? I'm really hoping to see more of her, she has one of the most gorgeous faces, but she's always getting the short end of the stick. I do love me some Moanica, but Ghoulia's always gonna be my #1 zombie girl! I hope they make another Silvi Timberwolf. She is so cute but I would like her with non-electrified hair too. I would just love to see more Honey Swamp! I totally agree! I hope we get more Silvi dolls! I'm pretty happy with the Abbey releases, so I hope those continue at a nice rate too. I hadn't heard that, I have a bit of hope now! 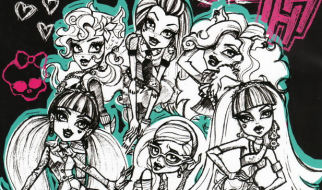 And yeah, Moanica's pretty but I've seen people worried she and Ari are going to replace Ghoulia and Spectra but…we have five werecats, we can have two zombies and multiple ghosts! Wydowna, PLEASE! She's probably my favorite character, honestly. Also, Kala, Peri/Pearl, Manny, the FF hybrids, and any of the more "monstrous" characters. I always loved it when MH really pushed the limit. As for the more "normal" ghouls... I'd like to see Honey, Gilda, Isi, Catty, Astranova, and Iris carried over into G2. and make him and Frankie offically an item!! Skelita, Robecca and Elle are my favorite girls, I would love to see more of them! And all the mansters! It would be awesome if they remade Jackson's head to be more like the cartoon, or at least they softened his jaw a bit.